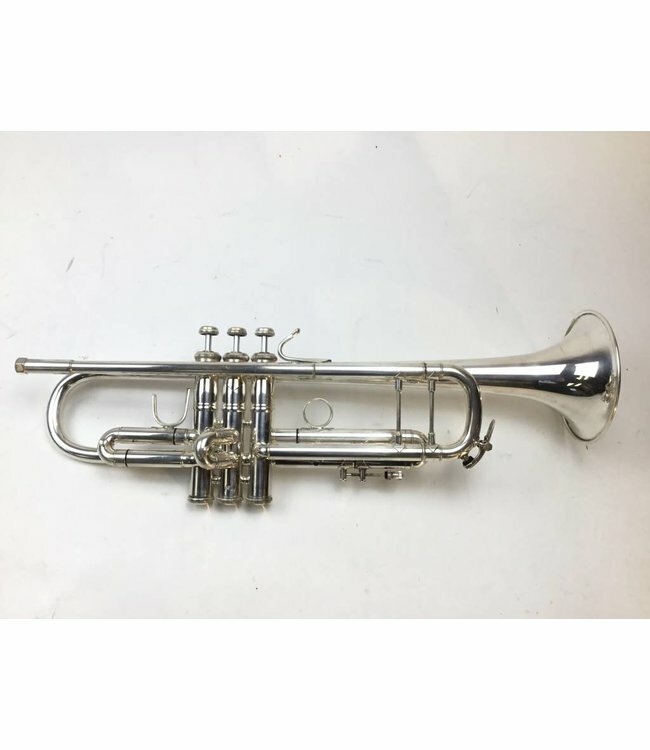 Used Bach Stradivarius model 37 medium large bore Bb trumpet in silver plate. This trumpet is in good condition, despite minor cosmetic wear throughout, not affecting playability. Comes with case.